Vistara, which is a joint venture between Singapore Airlines and Tata, once had to manage a group of passengers staging a sit-down protest in front of an aeroplane when told their flight would not reach its intended destination because of fog. The u/m NYT Dealbook story reminded me that SIA is also like that. One neighbourhood SIA pilot is 62 (my age). And I know a pri school class mate is still flying for SIA. Nice to know that it’s not only S’pore Aunties that are employed by SIA. Many retired people in the country have returned to the work force as the population dwindles and jobs go unfilled, including Shigekazu Miyazaki, who is still flying at 65. Tiger shareholders related to scholar Eng & ministers? Remember scholar Eng and that blind gal with a guide dog? Some Tiger shareholders feel that they are entitled as these spoled brats isit? They think they like PAP ministers isit? The Securities Investors Association Singapore (SIAS) said in the open letter dated Dec 18 that some Tigerair minority shareholders felt SIA’s offer was “not reasonable”. But because they’hh lose money, these shareholders think that the offer is “unreasonable”. Europe’s second-highest court has backed a challenge by 11 airlines against an €800m (£583m) European Commission freight cartel fine. The General Court of the European Union said there were “internal inconsistencies” in the Commission’s 2010 decision. Of the firms, Air France was fined the largest amount – €182.9m – while KLM was fined €127.2m. The two carriers merged to form Air France-KLM in 2004. Other carriers involved were Air Canada, Martinair, British Airways, Cargolux, Cathay Pacific Airways, Japan Airlines, LAN Chile, Qantas, SAS and Singapore Airlines. SIA: Sweet spot in costs, safety and efficiency? Why always running down S’porean co and seeing Chinese cos no ak? Given its safety record (when was last time anybody died in SIA crash?) It may have found the sweet spot between costs, safety and efficiency? And btw, since when have TRE posters (Chris K excepted) been able to afford to fly. Going by their comments about public tpt fares, they can’t even afford to travel by bus. Why always running down S’poreanco and seeing Chinese cos no ak? Given is safety record (when was last time anybody died in SIA crash?) It may have found the sweet spot between costs, safety and efficiency? Really? 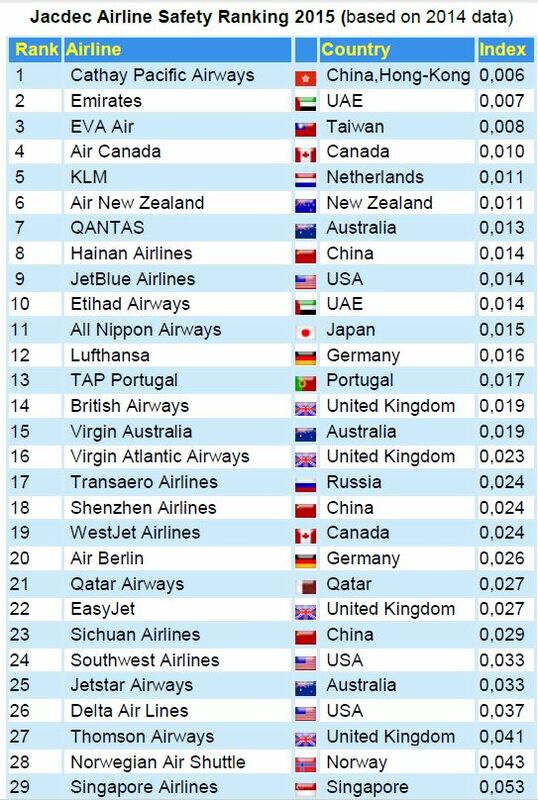 If that is so, how come No.1 ranked Cathay Pacific is more profitable than SIA? Me thinks the disgraceful way SIA treats its frequent flyers is the reason it is falling behind. Have now gone with One World (Cathay and BA) – ended my 15 year Gold membership at SIA recently. I’ve not compared the two in yrs because I don’t invest in airlines; so I can’t comment on Chris K’s retort. Save that he would be wrong if SIA’s margins are better. And anway, I note he was on SIA’s frequent flyer programme until recently. A true blue s’porean. Waz he doing among the TRE ranters and losers? No not Auntie Sylvia (Quah Kim Song finds her a stunner) but S’pore Auntie: she’s still there in top 10 as is her rival Cathay. Keep on cursing anti-PAP paper warriors. Malaysia Airlines’ 19,500 staff operate a fleet of 108 aircraft, while SIA operates 103 aircraft with 5,000 fewer employees. The result is that over the past nine years the Malaysian carrier has lost a net Rm3.56bn ($1.1bn), while Singapore Airlines has made S$8.86bn ($7.1bn) without a single year of losses. Says a lot about how S’pore Inc and M’sia Inc do things. Singapore Airlines (SIA) has reported a 78% rise in net profit for its second quarter*. This reminded of a story in the New York Times, some time back, that Delta Airlines by slicing an ounce off its on-board steaks saved US$250,000. It even calculated that removing a single strawberry from its First Class salads would save US$210,000. Talking after looking after the pennies, and the dollars will look after themselves. In investing, John Bogle, the founder of indexer Vanguard, keeps stressing the importance of buying funds that charge low fees. The expenses saved when compounded over time adds to performance. Besides most active fund mgrs underperform the market., so they mare a waste of money. Indexers charge very little in comparison with active managers. *Asia’s second biggest carrier was boosted by the sale of aircraft, spare engines as well as increased passenger traffic. The firm posted a total net profit of $128.6m (£80.9m) for the quarter, up from $72.1m a year earlier. When SIA sold to Delta its 49% stake in Virgin Atlantic for US$360, which it has owned since 1999, it said it was selling because of increased competition in its local market, where it wants to keep its focus. In the same week, last week, AirAsia announced a US$9bn order for 100 A320 planes. AirAsias’s order is for 64 of the A320neo (new engine option) and 36 of the A320ceo (current engine option) aircraft. It’s in crisis. Deep crisis. Auntie’s still a great way to fly but its record in investing in other airlines is horrible: think NZ Air. And now the Arab airlines are stealing its premium customers via slightly better service, and just as good connections via the Gulf hubs. And lower costs: our S’pore Aunties are no longer that cheap. But bit susa to pass of PRC, Pinoy FTs as S’pore Gals. Only M’sians can get away with pretending to be S’poreans. US airline buys an oil refinery. Taz thinking out of the box. It’s not as though SIA doesn’t have the cash. Qantas has unveiled its strategy to meet the competition from low-cost carriers. But Qantas is taking a more aggressive approach. It is turning Qantas into a low-cost carrier with a premium service subsidary that will be based in Asia. “A possible major catalyst for SIAE [SIA Engg] is if parent company SIA decides to divest its substantial ownership in the company as it did Singapore Terminal Airport Services (SATS) earlier this year. SIA currently owns an overwhelming 80.6% stake in SIAE,” says Kin Eng Securities. Rights issue with Temasek taking up its entitlement and prepared to subscribe for shares that other shareholders don’t want. Remember you first heard it here. But based on the companies’ past performance, SIA Engg should only buy ST Aerospace, if the price paid reflected Aeo’s lower margins. SIA Engg’s margins are consistently better than those of Aero. EG In financial yr ending Dec 2008, Aero’s turnover was S$1.9b with PBIT of S$272m, while SIA Engg turnover was S$1.1b but PBIT of S$301m. SATS — More Dividends or a Rights Issue? “Now that SIA has divested SATS, the company’s true value is more likely to be appreciated by the market. We estimate a surplus of $0.20/share that can be paid as dividends to shareholders if properties held at cost are sold and leased back,” writes Kim Eng Securities. On May 14, SIA announced that it was going to distribute to its shareholders its 81% stake in SATS by way of a dividend in specie. Since then share price is up 5%. This comes after SATS has become cash poor. In January 2009, SATS launched a takeover bid for its Temask stable-mate SFI. According to the takeover documents, the pro-forma balance sheet as at September 2008 would have shown that the net cash position of the SATS (including SFI) group deteriorated to minus S$21 from S$528. In particular, cash in fixed deposits would have fallen from S$573 million to S$64 million. But SATS needs cash because “SATS is committed to growing its 2 core businesses of airport and food services”. It could borrow big-time, pro forma net gearing is 0.04% from (0.35)%. But in Singapore, where debt is a dirty word in GLCs (NOL comes to mind), a rights issue is reasonably probable. Temasek as the new controlling shareholder of SATS has $356 million from its sale of SFI shares to fund any rights issue. But do other new SATS shareholders have the cash? Finally, looks like MM Lee gets his way. In 2004, he said SIA should divest itself of SATS and SIAEC. SIA’s management demurred. Will SAEC be divested despite SIA mgt saying last night that the SAEC holding is strategic? Stay tuned. Or will be both wrong, and CIMB prove correct? It doesn’t have any expectations of corporate activities, being underwhelmed by SATS. For a preview of what I will be writing about below are some pieces I did in mid June for two weeks for a project that did not take off. They are in chronological order. Last week, it was announced that PetroChina (subject to Chinese regulatory approvals) would buy from Keppel its entire stake of 46% in SPC for S$6.25 a share. Immediately one thought of 2003, when Keppel sold a 28% in SPC to Hong Kong-based (but Indonesian owned) Kapital Asia for S$1.50 a share, and said it was considering divesting its entire stake. In 2004 the price of oil took off and Keppel decided to keep the refiner to expand its oil and gas production in SE Asia. Could Keppel be repeating its mistake of selling SPC shares, just before the oil market takes off? It could. But Keppel shareholders (especially Temsek) should not complain. In the announcement of the deal, it was said “PetroChina and Keppel also plan to explore opportunities in the offshore oil industry and in other areas of mutual benefit as such opportunities become available”. Things like this are usually to be ignored as fluff. Maybe not in this case. PetroChina is one of China Inc’s two flagship oil companies, tasked with developing oil and gas resources globally to meet China’s energy needs. The Chinese have been active recently making oil-for-loan deals with national oil companies of Brazil, Russia and Kazakhstan, all very good for the likes of PetroChina. Keppel’s off-shore rig business, is only one of two world-class companies in Singapore Inc’s local portfolio. Should the value of SPC explode upwards, then Keppel has, at the very least, the goodwill of PetroChina when it bids to build rigs for projects where PetroChina has an interest. And should the price of oil collapse, Keppel and its shareholders will have S$1.47 billion in the bank to fund the rig business. And if anyone thinks that it is a no-brainer to buy SPC because PetroChina said it could serve as a platform for future transactions, suggesting it might try to use SPC to make takeovers that it would be blocked from making directly — think again. There would still be concerns of takeovers by Chinese state-run firms, done directly or indirectly, through a Singaporean subsidiary. Managers turn swashbucklers? Can pigs fly? Short of plans to buy assets, NOL does not need the S$1.4b. NOL, which has S$400m in cash reserves, would have almost less than 2% net debt. (45% of equity at the end of 1Q) against container sector average between 60 and 65. NOL intends to use about S$700m to repay debt, the remainder for investments and working capital. But the prognosis for the entire shipping industry for 2009 and early 2010 remain gloomy, so likewise does NOL operational gearing. Buying into NOL (its shares have risen from 0.85 in early March to 1.68 yesterday) is to believe that NOL’s management can use its great financial gearing into something tangible. EG buying ship at bargain prices from highly leveraged shippers in distress, and shipyards. And increasingly its gearing again in the process. Imagine going into the next cycle with cheaply acquired ships and a gearing of 45%. Wow Bam. This is an unproven thesis. NOL is one of the most conservative container lines and has taken a higher proportion of its ships out of service than other lines to tackle over-capacity. Can cautious managers turn into swashbuckling asset buyers? There are the Greeks and Chinese buccaneers out there too on the prowl for ships. Writer has some NOL shares in his CPF portfolio. On May 14, SIA announced that it was going to distribute to its shareholders its 81% stake in SATS by way of a dividend in specie. Since then share price is up 5%. This comes after SATS has become cash poor. But SATS needs cash because “SATS is committed to growing its 2 core businesses of airport and food services”. It could borrow big-time, pro forma net gearing is 0.04% from (0.35)%. But in Singapore, where debt is a dirty word in GLCs (NOL comes to mind), a rights issue is reasonably probable. Finally, looks like MM Lee gets his way. In 2004, he said SIA should divest itself of SATS and SIAEC. SIA’s management demurred. Will SAEC be divested despite SIA mgt saying last night that the SAEC holding is strategic? Stay tuned. SIA announces that it is proposing a dividend in specie to its shareholders of the Company’s entire shareholding in SIA Engg. “The proposed distribution will allow SIA to concentrate on its airline business,”something advised by MM Lee in 2004. But what price another national champion? And financial engineering by Temasek? with plausible competitive advantages, following its reinvestment in Olam. Bayan – manager and developer resorts, hotels and spas in the Asia Pacific. Creative – remember its MP3 player predated iPOD and Apple paid it damages for breaching its patents. All it needs is a bit more Zen meditation and it could have a mega hit on its hands. Eu Yan San – has reached the limits of what it can do with its resources in Chinese medicine. Needs outside capital, but family squabbles prevail. But Temasek is different. Raffles Education – big in Chinese education (and indirectly in property). In a bit of bother now but controlling shareholder and manager has a track record. Bayan, Creative and RE are run by home-grown and-bred entrepreneurs. What better way of encouraging the growth of entrepreneurs with global ambitions, then by supporting these three companies? We will keep you posted as we trawl through SGX listcos. This continuing series will help us fill the gaps on those days when we wake up late or have nothing more interesting to say. Fund managers, analysts, traders and media pundits are struggling to contain their confusion at what global equity markets have been doing since March. The markets’ upsurge defies all rational explanations: just ask Temasek’s scholars and foreign-talent MBAs. The conventional view is that this is a bear market rally. There will be a double-dip recession – a so called “W” recovery, where there is a steep fall, followed by a steep recovery and then another fall before another recovery finally appears which becomes more sustained. Pundits pont out that, while not widely reported in the regular news, the bond markets had a mini crash in May. There’s talk of the ending of the multi-decade bull market in bonds, what with all the debt that governments have to raise. My views on whether we are in bear market rally are just as irrelevant as anybody’s else. But I heard something interesting on the FT (my second favourite newspaper) website a few weeks ago. The strategist, from CLSA, belived that we are in the midst of a bear market rally. Nothing new here. But unlike other pundits, he said this rally could run for another two years before collapsing. He cited what happened after the dotcom bubble bust in 2000/ 2001. He said, with hindsight, it was clear that the recovery from 2003 to 2007 was a bear market rally. Bottom line: A bull run or bear market rally can only be predicted in hindsight. Seating tight and doing nothing is not an option for a fund manager unless he is Warren Buffett. Another reason to remain invested in Singapore mkt? Could the plans to celebrate big-time the 50th anniversary of self-rule be a signal that the PM wants to calls a GE in the first half of next yr? Remember that 50 years of self-independence coincides with 50 years of PAP rule, something that the celebrations are sure to link. Have a good time tonite. And the next insight will be on tues morning. So it was not surprising that the CEO of CapitaLand over the weekend implicitly reminded investors that CapitaLand is NOT a Singapore property play but a China (property) play, “In 2008, our China operations accounted for about 26% of total group assets and contributed approximately 45% of the group’s earnings”. Is he reminding himself how big a bet CapitaLand is putting in China? CapitaLand has just secured a S$5b three-year credit line with Bank of China and Industrial and Commercial Bank of China. What this means is that CapitaLand is gearing up just after completing a rights issue a few months back. It had reduced its net debt from S$5.6b to S$4.6b, a 18% improvement. Its net debt to equity had fallen to 0.32 from 0.47. But if it implodes (note that China super bull, Jim Rogers, is avoiding recommending property to investors: in 2008 he was negative about Chinese property) and CapitaLand has not sold assets before the downturn: another rights issue? Hedge funds who are negative on China property could do worse than start to build up short positions in CapitaLand. The share price of United Engineers is falling after its high of S$2.37 on 29 May. This illustrates that buying a counter at a deep discount to its NTA can be problematic, if there is no catalyst to unlock value. To recap. As part of an asset rationalising swap, Straits Trading and its controlling privately-owned shareholder swapped assets. 12% of UE was sold to Tecity at around S$1.52 a share, and 7% of WBL Corp was sold to ST as part of the asset swap. ST ended up with 19% of WBL. BTW WBL has another 10% of UE. There was speculation that Tecity had immediate designs on UE. UE’s shares are at a deep discount to its published NTA of S$3.43. They remembered Tecity’s bid for ST which ended with Tecity paying S$6.70 for assets (revalued) worth S$6.52 a share. What is forgotten is that Tecity busy coping with the consequences of having spent S$1.1bn to own 82% of ST; is not likely to want to reward other UE shareholders at Tecity’s expense. Assuming it bids at published NTA, it would have to spend S$679m. And if, the other major shareholder, GE Life starts a bidding war, the cost could escalate, like in ST. In early 2008, there were estimates that UE’s NTA could be S$6. And if it did bid at NTA or more, any time soon, ST’s minority shareholders would rightly cry foul. TeCity’s founder, the deceased Tan Chin Tuan, would spin in his grave hearing his heirs being accused of being unfair to minorities. Incidentally the cost of selling UE’s assets are likely to be very high. Maybe future UE annual reports should give an estimate of the costs of selling these assets to unlock the published NTA. And maybe advisers to the independent directors of a target company; and the acquirer should subtract the costs of liquidating the assets when toying with NTA values in their reports. If this had been done in ST, Tecity could have got away with a lower bid. Bharti’s proposed acquisition of a 49% stake in South African MTN would give SingTel (at 30% Bhart’s biggest shareholder) exposure to markets in Africa and the Middle East, where there are a lot more mobile phones than people. Australia and Singapore (its biggest markets) are the opposite. But the complex deal involving cash and a cross-shareholding by MTN into Bharti would mean that SingTel’s share of Bharti would drop to 19%. SingTel has indicated that it wants to rebuild its stake back up to 30%, if the deal goes through. At current prices, this means coming up with about US$5.3bn or S$7.7bn. It has net debt of S$6.5bn and net gearing of 24%. But raising net debt to S$14.2bn and net gearing to 52% is not an option in a GLC, though it could make sense in any other telco that has stable underlying cashflow. Qwest (albeit it is now trying to reduce debt) has a ratio of 110%. (more debt than equity). So if the Bharti/ MTN deal goes through, a SingTel rights issue will be necessary. As to how dilutive this will be — S$7.7bn works out to only Singapore 48 cents a share, or 16% of its market capitalisation based on yesterday’s closing price of S$2.95. Not too dilutive for exposure to fast-growing markets where there are more people than phones. DBS Vickers Securities raised its 12-month target price for the stock of Singapore Exchange (SGX) to S$9.10 – the highest now among the target prices of 20 analysts polled by Bloomberg. But does how does SGX look in the medium term vis-a-vis its rival, HKSE? Remember HK would benefit from a V-shaped recovery too. Traditionally, an important measure of the success an exchange vis-a-vis its peers is the new IPOs it attracts According to Dealogic, some US$1.6bn has been raised this year through eight listings in Hong Kong. And the outlook is improving By contrast, Singapore raised US$12.5m from 3 IPOs all second board (sorry “Catalyst”) IPOs: with gloom pervasive, “2009 may be the worst year in memory for the IPO market”. And Hong Kong can look forward in 2010 to the AIA listing, the $5bn-plus IPO of AIG’s Asian life insurance unit This IPO is set to be the world’s largest IPO since 2007, when incidentally thanks to the Chinese, more money was raised in HK than in New York. So shouldn’t hedgies be thinking of shorting SGX, and buying HKSE? Even though SGX’s forecasted PE is below 20x, while that of HKSE is closer to 30x. If SIA were not such a great airline operationally and financially, I should be worried about its: “still keeping an eye out for possible acquisitions in China and India, despite the current economic downturn”. The last time it went on a buying spree between 1999 – 2001, it showed that investing in airlines was not a core competency. In April 2000, SIA purchased a 25% stake in Air New Zealand for 426 million New Zealand dollars (352 million Singapore dollars), or NZ$3 a share. Yes it was the usual “strategic” investment. SIA also participated in a subsequent rights issue, paying an additional S$51 million, to avoid diluting its 25% stake. The original purchase plus rights amounted to S$403 million. SIA in 2001 tried to invest more, failing only because the NZ government was dilatory in approving an increase in its stake in Air NZ. Phew! When 100% owned subsidiary Ansett failed in late 2001, pulling AirNZ down with it, SIA’s unapproved offer of NZ$1.31 a share was still on the table. And in late 1999, a cash-strapped Richard Branson sold a 49% stake in his airline, Virgin Atlantic, to SIA for £600m (US$960m), a very good price for Mr Branson. SIA still has the stake and the much talked about synergies have been quietly forgotten. There were also rumours of rows between Mr Branson and SIA on Branson’s plans to muscle-in on SIA’s lucrative UK to Oz route. So has the idea of selling the stake, what with valuations of airlines falling. But let’s be fair. The then CEO of SIA has moved on to become chairman of OCBC, not bringing with him his deal-making enthusiasm: for that OCBC shareholders should be happy. And recently SIA kept its nerve and refused to up its offer for a stake in China Eastern Airlines, which is now in financil difficulties. So maybe SIA is a more disciplined investor. But being disciplined has its perils. Ask PSA which refused to outbid the Arabs for a stake in a choice HK terminal, only to have play catch-up on a second-rate terminal. Consoling yrself that higher petrol prices are the price to pay for a V-shape recovery? The Western and Chinese economies are on their way to recovery, and rising oil and commodity prices are foreshadowing this recovery.. Think again because this NYT article http://www.nytimes.com/2009/06/11/business/economy/11commodity.html?ref=business reports that growing evidence suggests that a sizable portion of this buying has been to build stockpiles in China, and may not be sustainable. two MRO aerospace cos – one listed and the other part of a listed conglomerate? Surely the national interest could be served by merging these and creating national champs. Yes, these have discussed inside before, but nothing happened. Gossip says that the bosse at the helms of TLCs are protective of their turfs: bit like Chinese lawlords throughout history. It always took a great leader to unify China over and over again. But this is unlikely to be his priority. Neither is going into natural resources. When he was hired to be CFO of Melbourne-based miner BHP in 1999, the “Big Australian” had lost its way. In the 1990s, it did a series of ill-conceived acquisitions and failed projects, amid historically low commodity prices. The former investment banker was one half of an American duo. The other was CEO Paul Anderson, who came from Duke Energy. In their first two years, BHP got rid of 2,000 jobs and A$6.9bn worth of assets. They then merged BHP with Billiton, createding the world’s biggest miner. Goodyear then became CEO and a key legacies, analysts say, is the financial discipline he brought to BHP. He ensured it grew fast enough to capitalise on the commodities boom while avoiding the ill-conceived spending of the past; and all the while, returning cash to shareholders.